Will Germany’s Social Democrats Take One More Chance on a Grand Coalition? 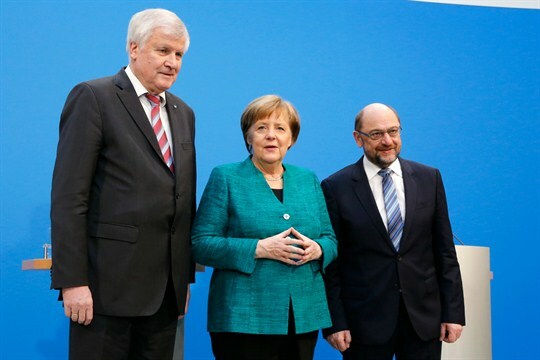 German Chancellor Angela Merkel flanked by the SPD’s Martin Schulz, right, and the CSU’s Horst Seehofer, after Merkel’s bloc and the SPD reached a deal to form a new coalition government, Berlin, Feb. 7, 2018 (AP photo by Ferdinand Ostrop). BERLIN—Germany is getting another grand coalition. At least, that’s what the country’s political leaders hope is about to happen.